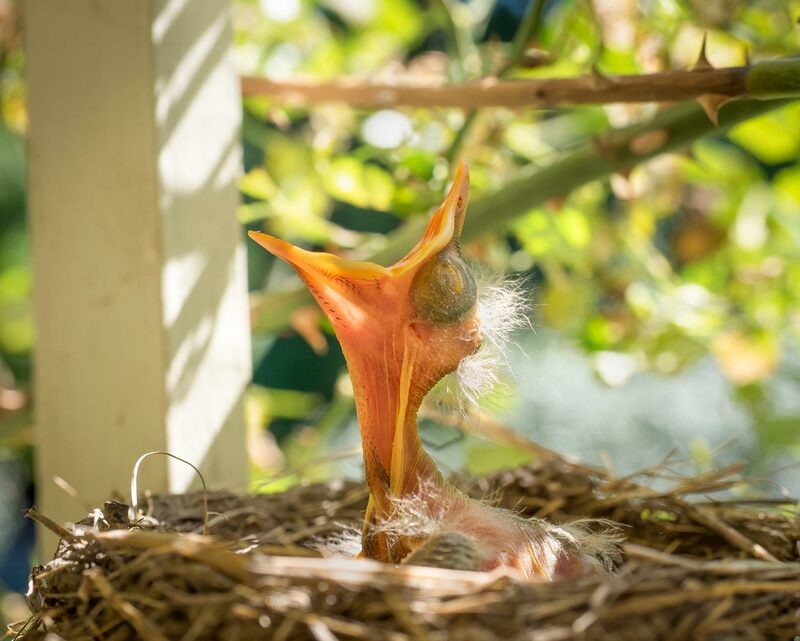 Canadian Wildlife Federation: If you touch a baby bird, will its parents abandon it? If you touch a baby bird, will its parents abandon it? A. This is actually a myth. Birds will not abandon their young just because someone touched them. Some say this is because birds have a poor sense of smell. And while this used to be the general thinking, research is starting to show otherwise. It is now known that turkey vultures and seabirds actually have a well-developed sense of smell. Research on zebra finches show that these songbirds use smell to recognize relatives. Is the same true for other songbirds? While more research is needed to determine the olfactory capability of all birds, it is known that at least some bird species have an incredible sense of smell. Wildlife will appreciate brush and rock piles - handy hiding places (near a feeder, for example) where small birds and mammals can flee for cover - just about anywhere.